The Telemarketing Company was one of the first agencies to adopt call recordings in 2008 and we continue to supply them for every outcome generated, and as an essential part of our quality assurance process. Today, there is a wealth of solutions available and the wide adoption of call recordings by both telemarketing agencies, and SMEs and enterprise organisations for in-house use, reflects the many business benefits they offer. Happily, the benefits can be appreciated by multiple individuals involved in the process, from the Account Manager managing the campaign, the sales team receiving leads, the agents making the calls, the client working with an outsourced agency, and those on the receiving end of the calls in terms of improved customer service and communication. In the early stages of every campaign, we share call recordings frequently with the client so they can provide feedback, hints and tips, enabling us to refine positioning, messaging and objection handling and ensure that the proposition is understood and well presented from the outset. These initial reviews flush out any initial queries agents may have and enable us to put our best foot forward on behalf of the client. When clients listen to these early stage recordings, and hear how prospects actually respond to the brief, responses are often not quite as expected. Giving clients the opportunity to dip into the call recordings at this stage makes sense, enabling them to test the water, tweak and improve their proposition based on real conversations. 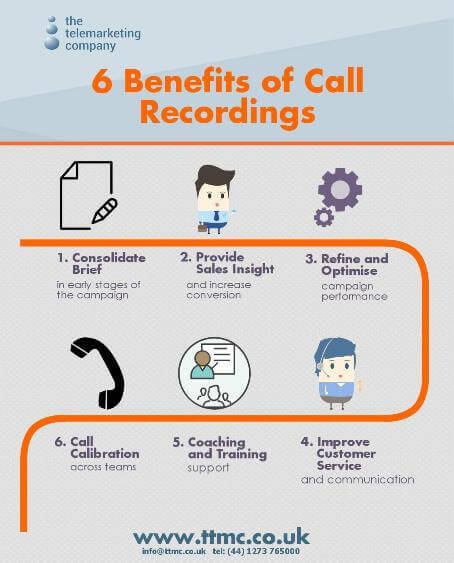 In terms of lead generation, sending call recordings along with lead information for every outcome provides enormous value for the sales person tasked with the follow up call or action. Recordings are also a great way of ensuring alignment between sales and marketing teams, providing unequivocal proof of the strength of any opportunity to the salesperson tasked with following up. Our agents work to a solution selling model, using open, probing questions, rather than a script driven approach. 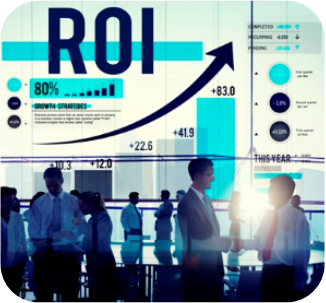 This provides a potential wealth of information in terms of customer, market and competitor insight, as well as an accurate understanding of the prospect’s need and buying mode, increasing the propensity for that lead to convert. Detailed lead notes are captured with each call, but a caller may not realise the significance of all information shared on the call, allowing for industry jargon or technical language. In this respect, sharing call recordings provides a safety net to ensure no opportunities are missed. Whilst any obvious flaws in the brief have been picked up in the early stages, there is always scope for further improvement as a campaign matures. Call recordings, as well as regular reporting and proactive feedback from the Account Manager, provide a continuous feedback loop so that the campaign, be it lead generation, appointment setting or a customer satisfaction survey, can be optimised over time. earing the actual ‘voice of the customer’ brings benefits outside of the campaign specific outcomes, providing the opportunity to better understand how a product or brand is perceived and to test new offers and propositions in a controlled environment. Most organisations believe they have a good understanding of how their client base views their brand, but it is rare for a client not to learn something new from each batch of recordings. Reviewing call recordings can identify and highlight patterns, throw light on common issues and the detail can be shared with relevant individuals across an organisation via the call recordings. Call recordings can highlight product or service issues that may be mentioned in passing during a conversation, which customers may not otherwise have felt warranted a specific complaint. This enables the supplier to pre-empt more major issues and protect the brand’s reputation. Where complaints are raised outside of the campaign at any later stage, the call recordings provide a quick and easy way to retrieve information and verify what was said, or offered. The recordings are a useful back-up for clients in such cases, providing a solid audit trail that doesn’t require saving reams of paper. The ability to prove verbatim what was said helps safeguard brand reputation and saves time and money when dealing with disputes. Of course, the call recording may highlight a genuine cause for complaint or a training need within the calling team. The call recordings provide an essential coaching tool for the Account Manager enabling them to identify areas for improvement and provide individual feedback in an efficient way – saving training time. Recordings are used to monitor agents’ calls, feed appraisals, share best practice, and ensure consistent high quality performance across a team. Individuals new to the team or moving to a new campaign can not only listen to their own calls and receive feedback, but can get up to speed very quickly by listening to more experienced callers who have worked on the project for some time. This process of quality assurance is especially important in regulated sectors such as finance where proving compliance around transactions is a legal requirement and where organisations are required to keep evidence of communications and compliance for a given period. As an agency, we often act as an extended part of a client’s team, working closely with in-house callers, often to supplement resource on larger campaigns for enterprise clients. In these cases, call recordings are invaluable to calibrate calls across both teams. Sharing the recordings ensures that the message and positioning are in sync, and that the proposition is presented consistently. In addition, they allow the client and agency to share best practice and learn from each other’s experience to benefit the overall campaign.